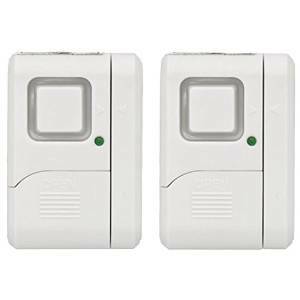 GE 45115 Window Alarms - This listing is for a package of two - these alarms are new, never used, in an opened package. Can be used as door alarms also. Easy to install - come with an adhesice backing - can be stuck onto almost any surface. They will emit either a chime or loud alarm, depending on how you want to set them up. Batteries are included.